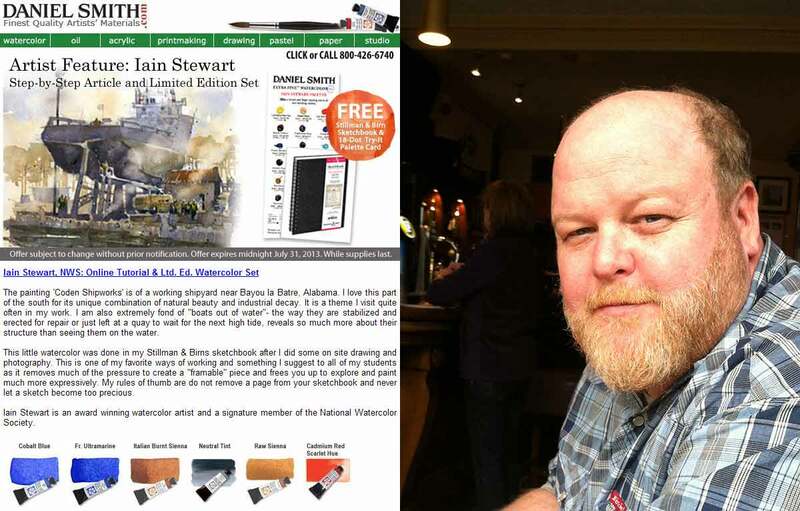 Iain Stewart is a signature member of both the National Watercolor Society and American Watercolor Society. His work has received numerous international awards and been included in many national and international exhibitions. 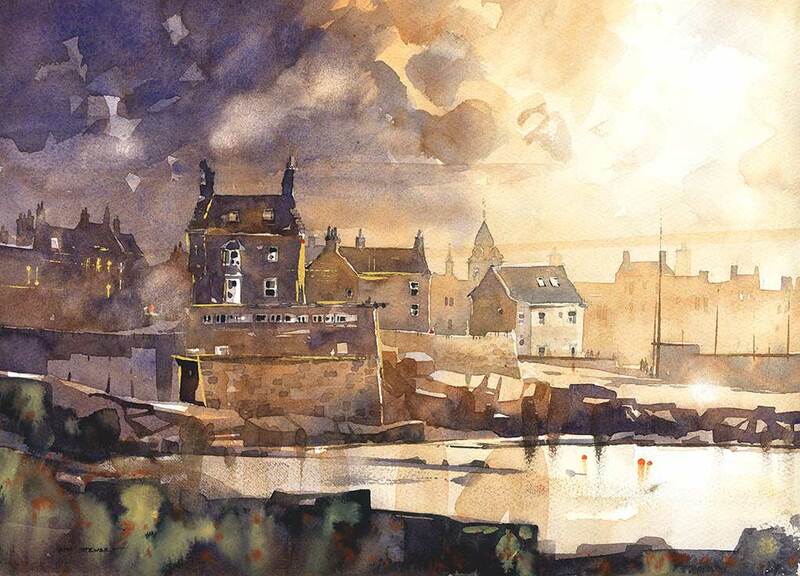 He is featured in the June issue of Watercolor Artist magazine and his painting “Fife Sheep” graces the cover. Iain will also be featured in North Light book’s Splash 16: Exploring Texture. 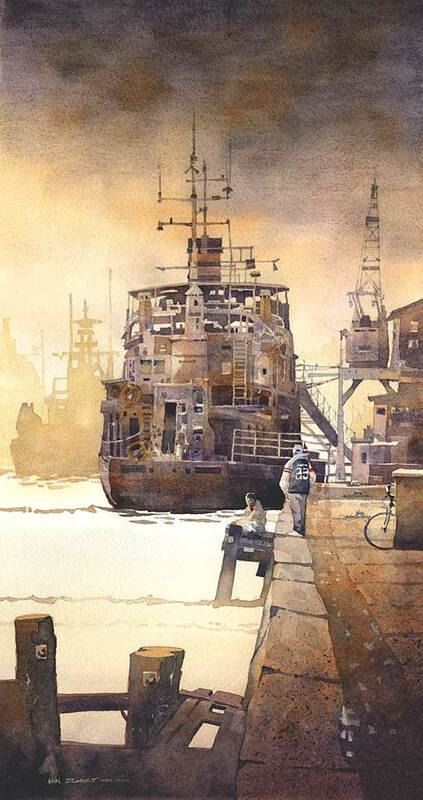 He was awarded 1st place in Watercolor Artists Magazine’s “What do Love” Competition and featured in the July 2013 issue. Iain’s painting “Thurlow Dam, Tallahassee Alabama” was honored with a purchase award in the 91st Annual National Watercolor Society International Exhibition and his work “5th Avenue in Rain” was selected for inclusion in the Shanghai International Watercolor Biennial Exhibition. 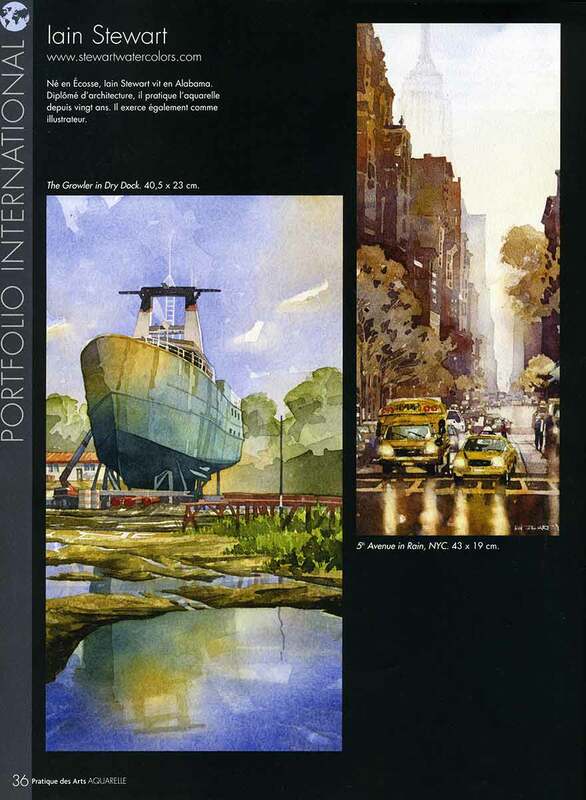 Iain’s work was also featured in the March 2013 issue of the international publication The Art of Watercolour. Iain’s paintings have been featured in many other publications including Southern Living, Cottage Living, Better Homes and Gardens, The Robb Report and the French publication Pratique des Arts. Iain maintains a studio in Opelika, Alabama and in addition to gallery work he is an Architectural Illustrator with an international clientele and teacher of watercolor and design drawing at Auburn University.